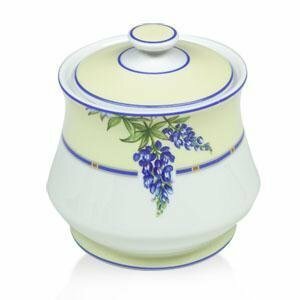 This elegant sugar bowl features the Texas state flower and is an adaptation of the Carter family china once used at its Shady Oak Farm. 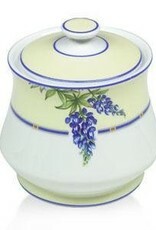 The sugar bowl is 3 inches in diameter, 4¼ inches deep, and comes in an elegant navy blue box, with the Amon Carter Museum logo embossed in gold. Sold exclusively through the Amon Carter Museum. Microwave and dishwasher safe.